Hi- waving hello to everyone! I have been in Kentucky visiting my parents this past week- I will work on catching up with commenting on blogs this weekend! 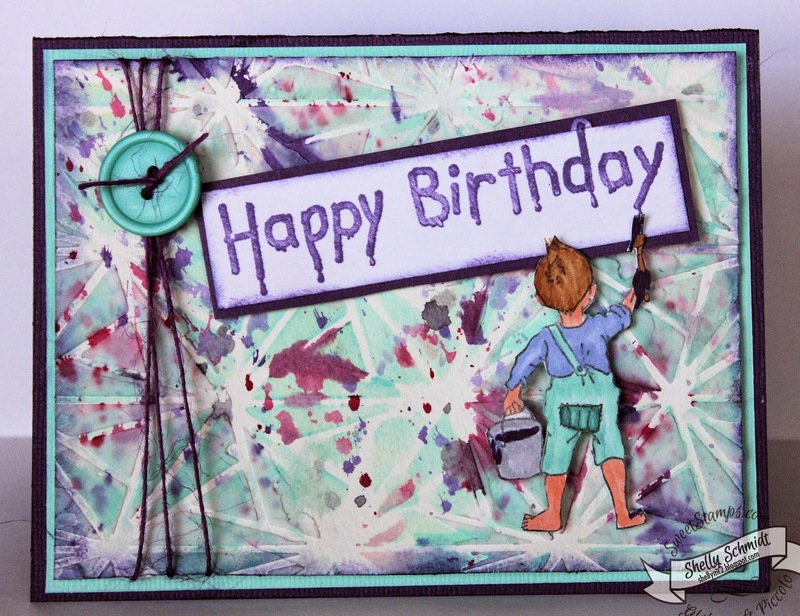 For the Sweet Stamps challenge this week, I decided to get out the watercolors and give them a go for the 'stencil and embossing paste' theme. I used the Peerless watercolors and the Geo Triangles stencil. First, secure the stencil (use painters tape or Washi...). I used the Dark Green color (which is the main background color) and applied that all over the background thru the stencil. I removed the stencil and added splashes of Wisteria Violet and Japonice Scarlet and Dk Gray using a wet paintbrush and flicks of the paintbrush. I replaced the stencil and added white Embossing Paste here and there. The Billy Painting Happy Birthday image was stamped, colored with Copics and fussy cut- then added on Dimensionals to the card. 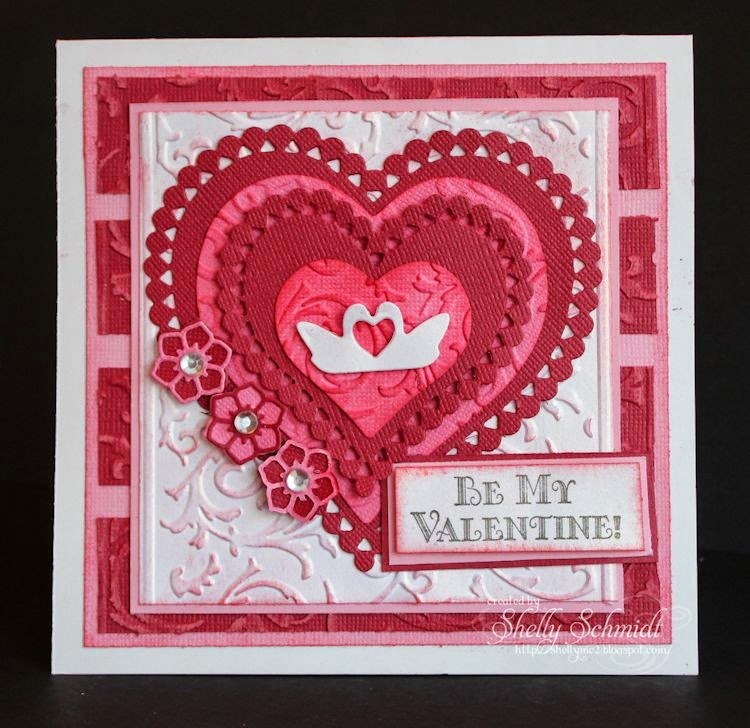 The challenge at Sweet Stamps for this week is Hearts. There are hearts on the top layer, and little pink hearts peek out on the pink layer just between the white hearts on the top layer. I stamped the image 3 times- twice on the Silver Lustre cardstock and once on the pink shimmery cardstock. 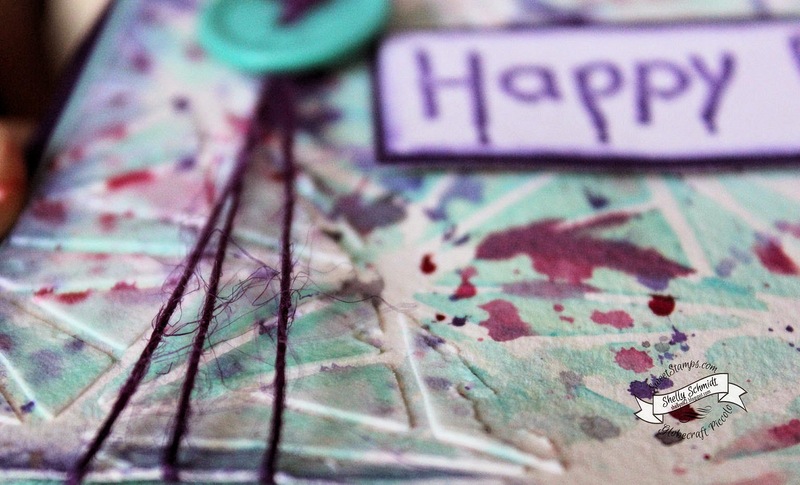 The cardstock is from Paper Temptress. I fussy cut the three layers out, and stacked them using dimensionals. 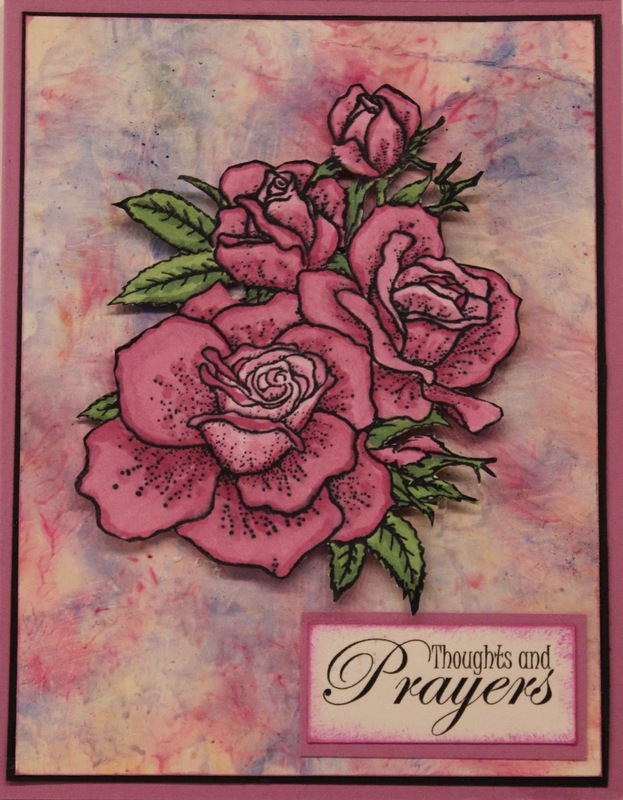 I used In the Pink ink to dab on color using the Victorian Romance stencil. I added a little more shimmer using the Stardust Gelly Roll pen. Pink Pearls finish off the medallion. 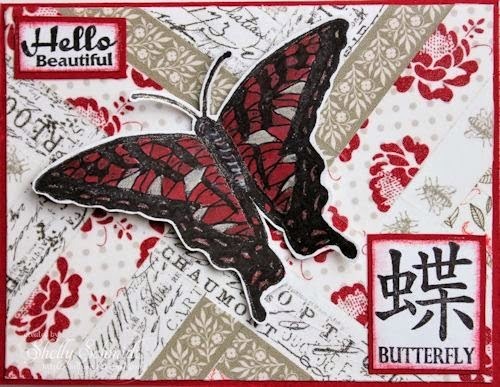 Tip Top Tuesday- Something new : ) Stamp, Stencil, Pearls *TIP* If you are layering a stamp image multiple times, you do not need to stamp the complete image each time- to save on cardstock- especially when it is specialty cardstock. SO, for the top layer, I simple ink up the center portion of the image. 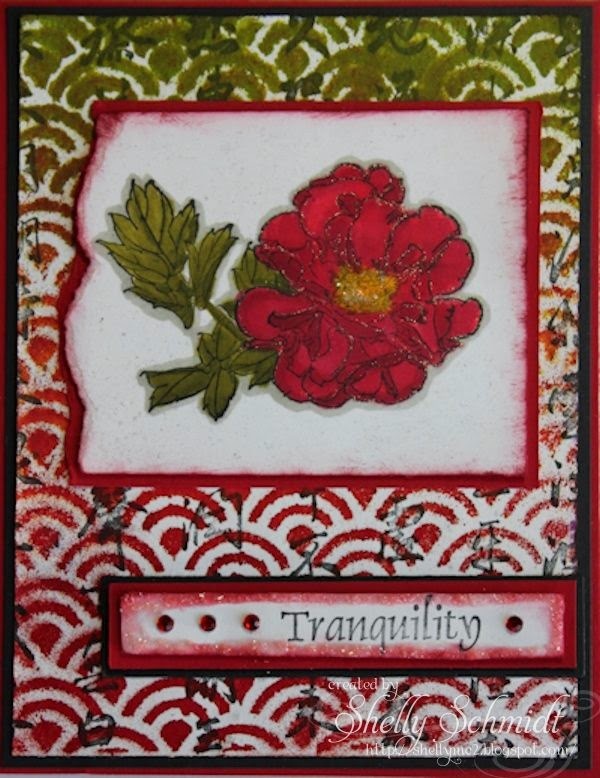 The challenge at Tuesday Throwdown this week is Embossing (wet, dry or paste). Our Sponsor for the challenge is Avery Elle. Chinese New Year this year begins Feb 19th, and it is the year of the Sheep. My daughter lives in China, so when I saw the Bunting Die and coordinating Bunting stamp set, I had to have them to make a card! The Washi was purchased in Shenzhen, China. I layered the die cut black and hung lanterns stamped with Versamark and embossed with Enamel Embossing Powders- I used 24 K Gold, Aged White and Cranberry Wine (Girls Night Out). There is shimmer and glimmer in the powders, and in the Washi...... 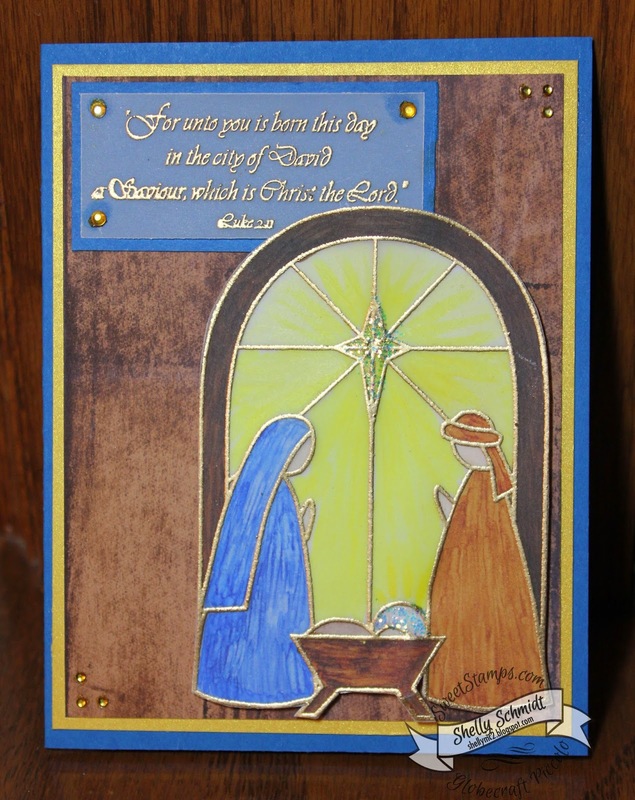 This card was terrible to photograph because of all of the shimmer! Here is one from my phone- still not the greatest picture...... the shimmer is not overwhelming IRL. Stop by the challenge HERE to see the fabulous inspiration by the rest of the team! I thought I'd throw in a couple of pictures of real Chinese lanterns- the first picture is from 'Lantern Street' in Beijing, and the 2nd picture is from 'Food Street' Wangfujing Street in Shanghai China (where you go to see scorpions.starfish/centipedes on a stick- totally touristy- and everyone tried something on a stick except for me). Most regular streets are not lined with lanterns like these streets. I had a few minutes to steal away, so colored up a beautiful digi by All Dressed Up . 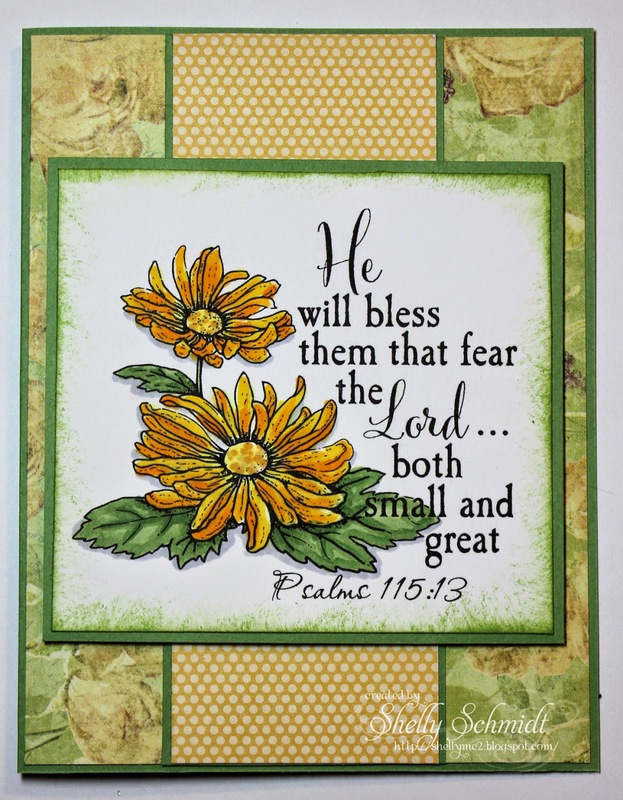 I love this sweet image- and the card is for the Monthly Progressive Challenge at the Outlawz. 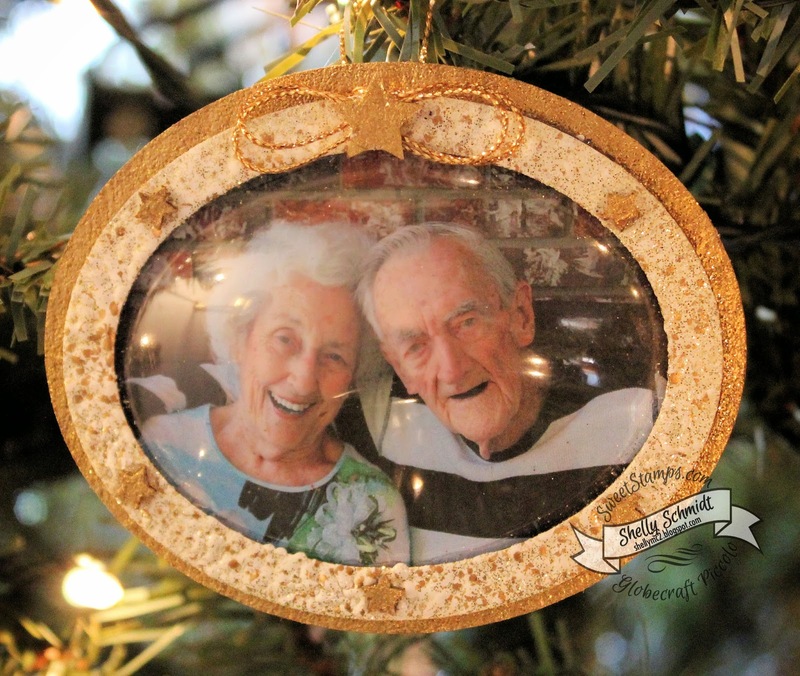 I thought she was so sweet- and I love the Sentiment by Create with TLC. 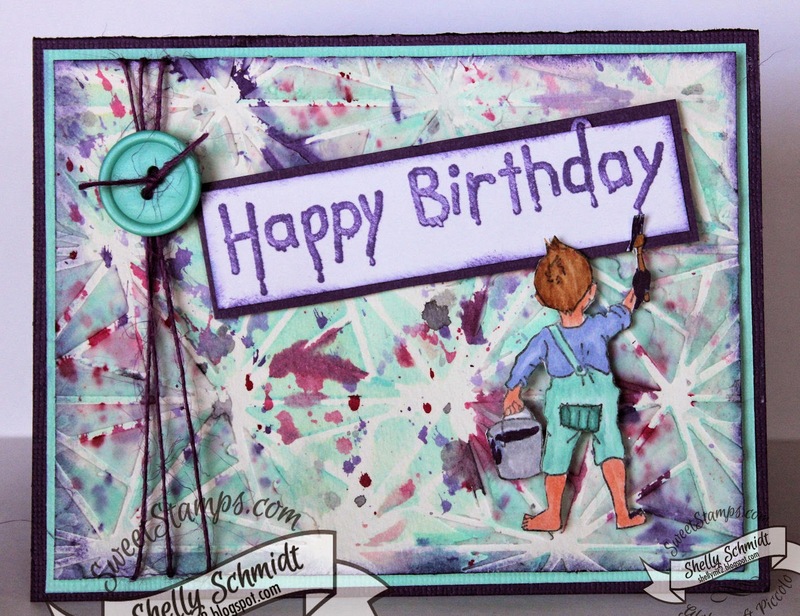 The background is a Shaving Cream background I made months back for a challenge in my Stamp Addicts group @ SCS. I added snowflakes in Crackle Embossing Paste and added some light purple accent to them. The image is colored with Copics. I used a Wink of Stella Pen to add shimmer to the brim and pom on her hat. The cardstock and ribbon are SU Rich Razzleberry. 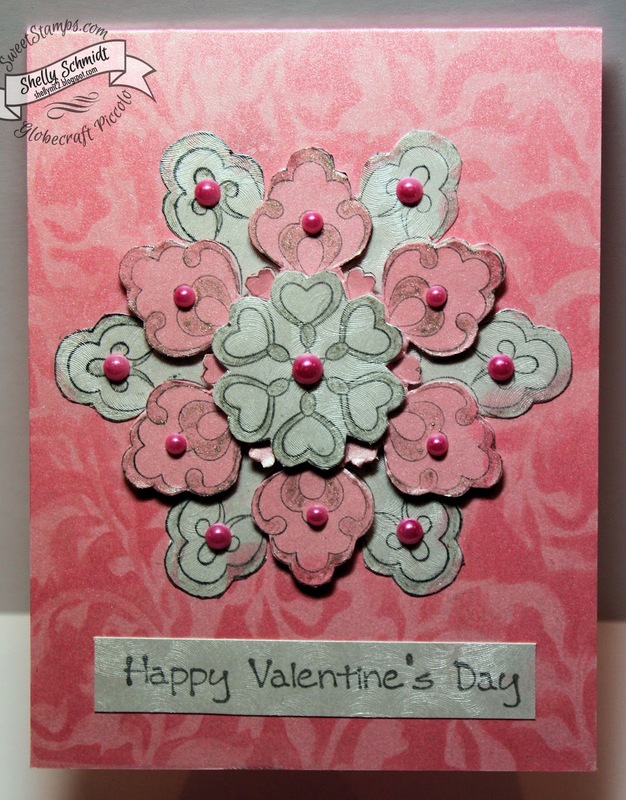 Sisterhood of Snarky Stampers- W is for WOW it's cold! I used white glossy cardstock, swiped with the anti-static pad and embossed the flourish with White Detail EP. I sponged on 4 colors of ink for a blustery look. I used Tidal Wave, Aquamarine, Nassau Blue Shades Die inks and Faded Jeans Distress Ink. I swiped over the panel when done to remove any ink from the white embossing. 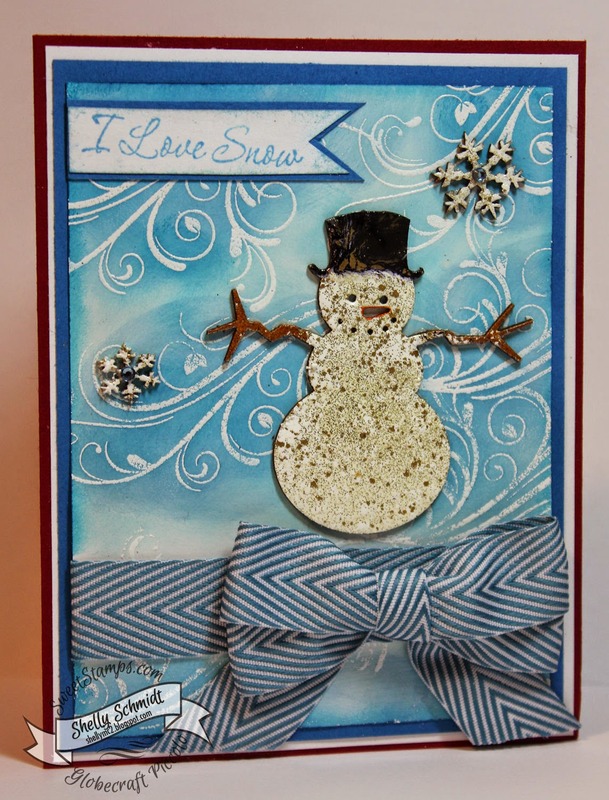 I had fun using a Globecraft Piccolo snowman, and embossed it using Aged White, Brownstone and Vintage Black Enamel EP. I also used the Aged White EP on snowflakes. I dabbed on a touch of Orange Copic marker through the back around the nose. The ribbon is Stampin Up. There is a shimmer in the Embossing Powder that cannot be captured in a picture- just love it! 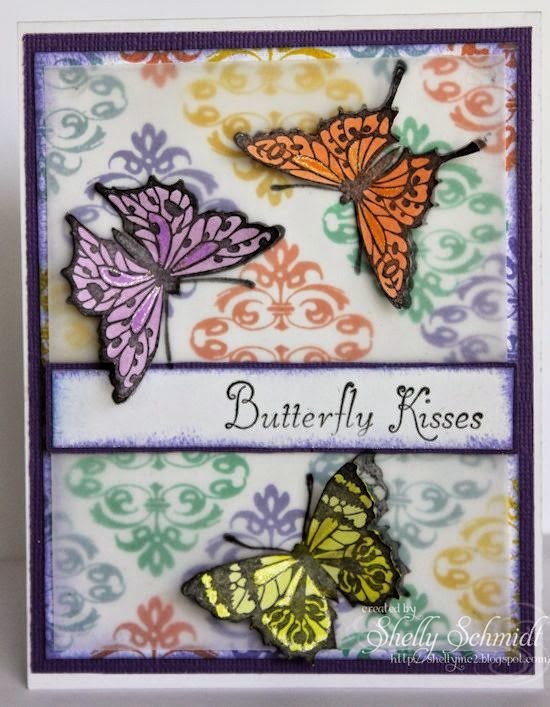 The challenge at Sweet Stamps for this week is Something New. Well, I had a hayday buying stuff in the store for Santa to bring to me......, so I have lots to choose from! 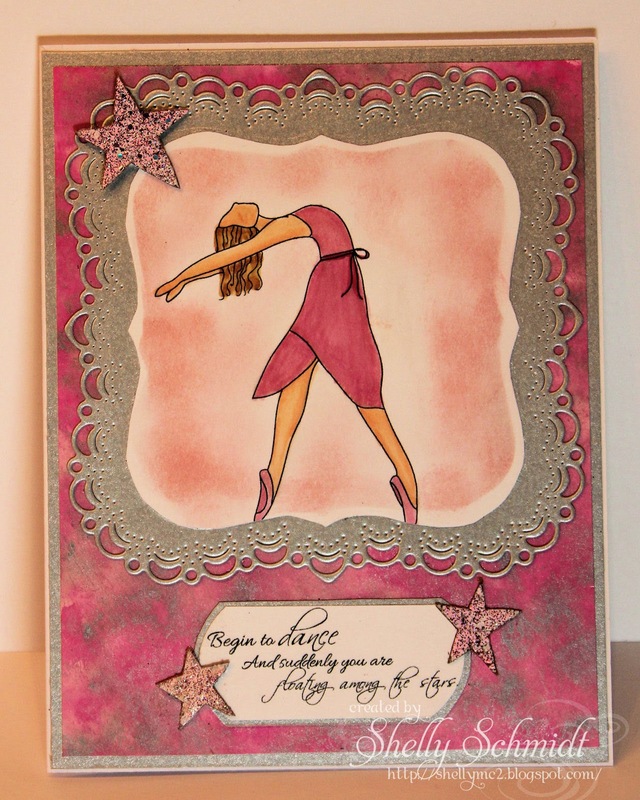 I had fun with Dylusions sprays for the background, and then I used a stencil and covered the background with Wendy Vecchi Gold Embossing Paste. Oh- IRL this paste is just gorgeous! The paste is flexible, so you can bend the cardstock top to bottom, and it will not crack....... It also picks up the hue from the color of the Dylusions underneath it. I colored the butterfly with Distress Markers Worn Lipstick, Peeled Paint and Chipped Sapphire. I colored and stamped it a 2nd time, fussy cut it and added shimmer with a Stardust Gelly Roll pen. 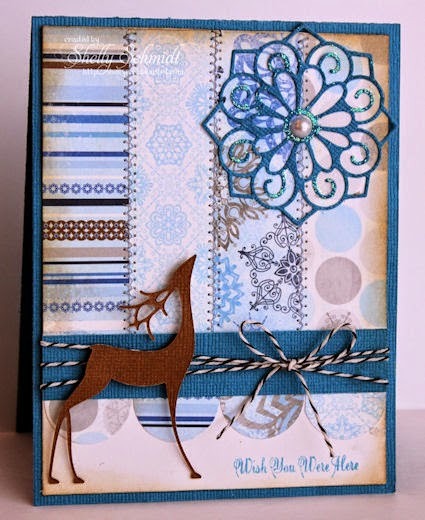 The Tuesday Throwdown Challenge is back from break, and we are using our Favorite embellishments for challenge #226. We are sponsored by Diane's Daydream Designs this week. Our Sponsor generously gave us digi's to work with, and I used the digi Ballerina and a dance sentiment. I used a Cheery Lynn Designs die cut for the Metallic Silver layer. I added embellishments cut from chipboard and embossed with Enamel EP from SweetStamps- the enamel EP makes gorgeous embellishments- the stars are very sparkly IRL. The image is colored with Copics. 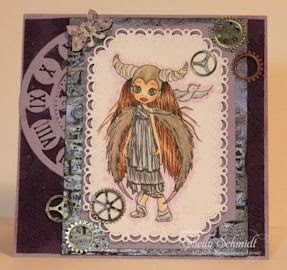 The background is from my Technique Junkies stash, and has pink plus a shimmery silver metallic ink. I have been so Blessed in 2014- Thanks to all of my Blogging friends for supporting me, and I love stopping by your blogs too- for inspiration. The challenge at Sweet Stamps for this week is Food and drink. I was imagining the girls sitting in front of the big glass window enjoying the view. 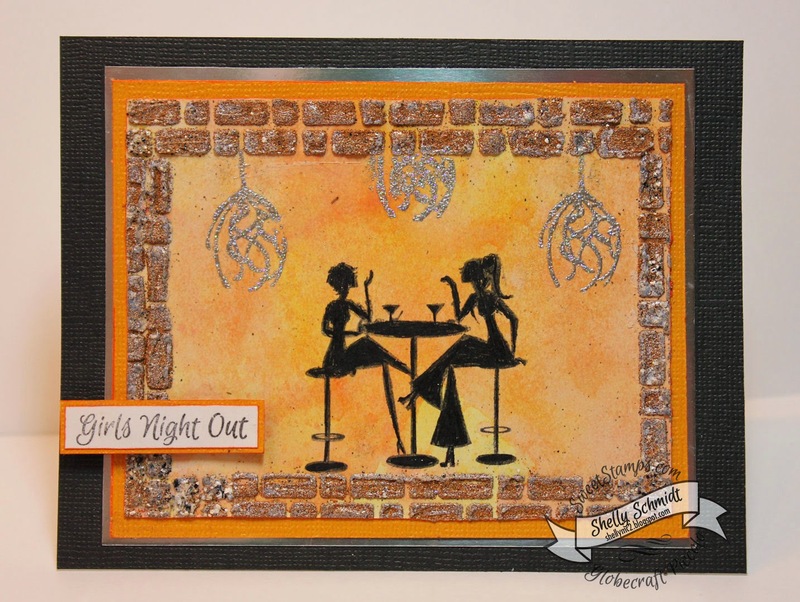 So, I took the Stone Path ATC stencil and added embossing paste and embossed with BrownStone Enamel EP. Normally, you let the paste dry prior to embossing, but I thought the bubbly look would be cool on the bricks, so I did not wait. I love the way it turned out. We'd love to have you join us for the challenge. Our winners are chosen by Random.org- and if you use a Sweet Stamps image, your entry will count x's 2!